OUR RANGE OF COMMERCIAL PORTABLE DEHUMIDIFIERS ARE KEY TOOLS FOR DRYING AND RESTORING YOUR ENVIRONMENT. Bay Air's sister company Humiscope has a large range of commercial dehumidifiers available for long and short term rental Australia wide. These units range in size from HCD 600 with a 1020m3/hr air flow rate to the large HCD 1125 with a huge 1910m3/hr. These units can be supplied with commercial grade, plastic ducting as needed. 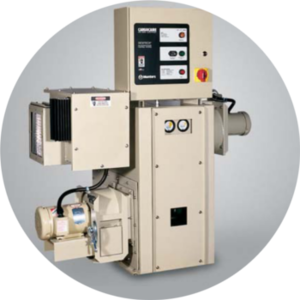 Heavy duty and rugged, these portable dehumidifiers quickly and efficiently extract water, dry flooring and walls, and curb harmful mold growth. Our portable dehumidifiers feature large wheels for ease of mobility and internal condensate pumps for no-hassle water removal. They are also ductable to maximize airflow for more effective drying.